Please type your desired tags, e.g. Security, Hypoxia, Public Policy, Psychological Sciences, Hyperpolarized MRI, Technical Writing, Marketing, Mental Health, Asian Studies, Clinical Nutrition, Dietetics, Motherhood & Reproduction, Twentieth-Century American Literature, US History, Genre theory, and etc. 2007–2007	S and Se in the SE Symposium, Southeast Regional Meeting of the American Chemical Society, Greenville, SC, October 25, 2007, paper 92. 2006–2006	Invited Seminar, Texas Wesleyan University, Fort Worth, TX, February 3, 2006. 2005–2005	Invited Seminar, The University of North Texas, Denton, TX, January 28, 2005. 2005–2005	Invited Seminar, Austin College, Sherman, TX, April 20, 2005. Sibert, John W. "Wurster's Crown Ligands," U.S. Patent 6 441 164, 2002. Two faculty members at The University of Texas at Dallas have been inducted into the inaugural class of The University of Texas System Academy of Distinguished Teachers. 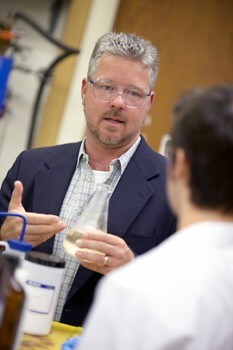 Dr. Sheila Amin Gutiérrez de Piñeres, professor of economics and dean of undergraduate education, and Dr. John Sibert, associate professor in the Department of Chemistry, were among the first 12 individuals chosen to join the new academy, which recognizes outstanding educators at UT’s nine academic institutions. The members of the academy will serve as a system-level advocacy group dedicated to enhancing teaching, fostering innovation in the classroom and promoting interdisciplinary perspectives on education. In recognition of his skills as an educator and mentor, Dr. John Sibert has received a President’s Teaching Excellence Award. An associate professor of chemistry in the School of Natural Sciences and Mathematics, Sibert was selected from among 118 eligible faculty members who were nominated by undergraduate students. The award carries a stipend of $5,000. 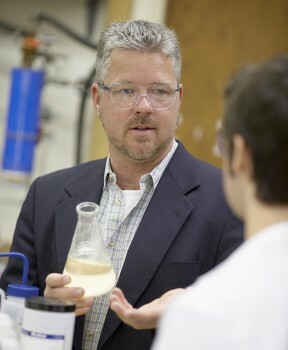 “In parallel with his extraordinary effort in improving science education, Dr. Sibert has maintained his chemistry research program and continues to train undergraduate and graduate students in his laboratory. We congratulate him,” said Dr. Myron Salamon, dean of the School of Natural Sciences and Mathematics. 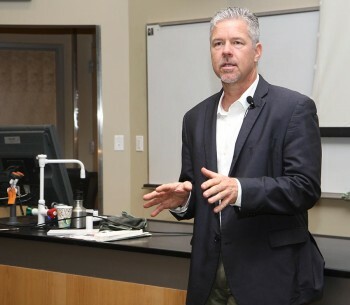 Dr. John Sibert, associate professor of chemistry in the School of Natural Sciences and Mathematics at UT Dallas, has been named a 2015 Piper Professor by the San Antonio–based Minnie Stevens Piper Foundation. The award, established in 1958 to recognize outstanding college professors across Texas, is made annually to 10 educators to honor their dedication to the teaching profession and for their outstanding academic, scientific and scholarly achievement. "Best Class" at UT-Dallas in Texas Monthly 's "2004 Guide to Texas Colleges + Universities"